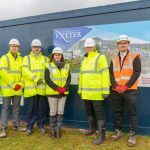 A turf-cutting ceremony has taken place at Exeter Science Park to mark the start of construction on the University of Exeter’s pioneering VSimulators experimental facility. Funded by a £4.8 million grant from the Engineering and Physical Sciences Research Council, VSimulators is a multi-disciplinary research platform which will be housed in a new, purpose-built engineering building. 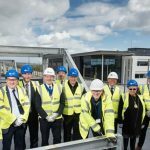 Guests at the event included representatives from Exeter Science Park, the University of Exeter, University of Bath and contractors Morgan Sindall Construction. VSimulators offers a state-of-the-art, world class facility, combining virtual reality (VR) technology capable of immersing up to nine occupants simultaneously in headset projected VR scenarios. A 4×4 metre, custom designed motion platform, linked to the VR scenarios, enables users to perceive realistic motion as they move around in a virtual world while optical and inertial motion capture systems and an array of force plates will record their experiences. Due to open at the end of 2019, VSimulators will be used by academics and industry to support multi-disciplinary human factors research and innovation. It offers research, commercial and training opportunities within a range of disciplines including civil and structural engineering, architecture, psychology, healthcare, human movement science, creative industries, data analytics, entertainment and sports science. 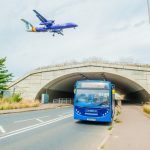 James Brownjohn, from University of Exeter, and Principal Investigator for VSimulators, said: “VSimulators offers opportunities for collaborative international and multi-disciplinary research and innovation, linking academic and commercial communities. 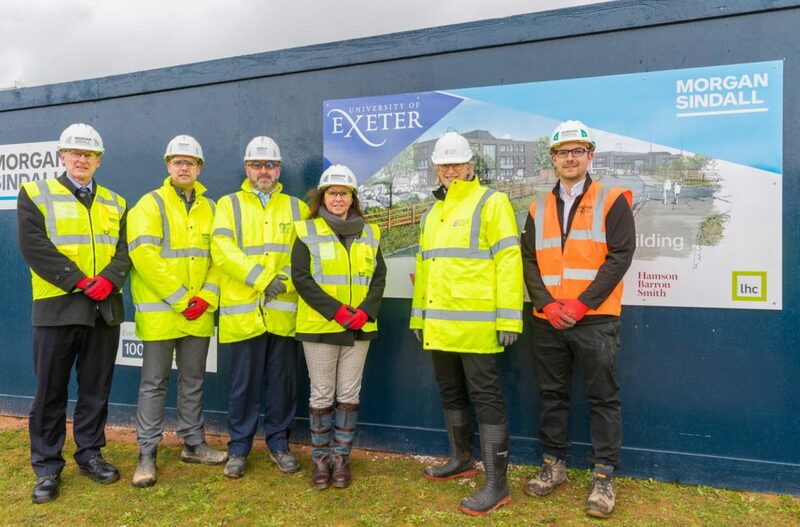 Nigel Whelan, area director for Morgan Sindall Construction, said: “We’re delighted to be breaking ground and marking the start of work on this important project which will create a world-leading facility and position Exeter as a centre of excellence in VR technologies. 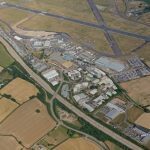 The £4.8 million grant awarded by the Engineering and Physical Sciences Research Council will also fund a complementary VSimulators facility at the University of Bath. 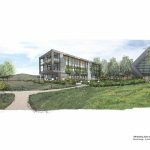 Due to open in Autumn 2019 and using an environmentally controlled room with projected virtual reality mounted on a motion platform, this will be mainly used to study human factors in the built environment – particularly tall buildings.